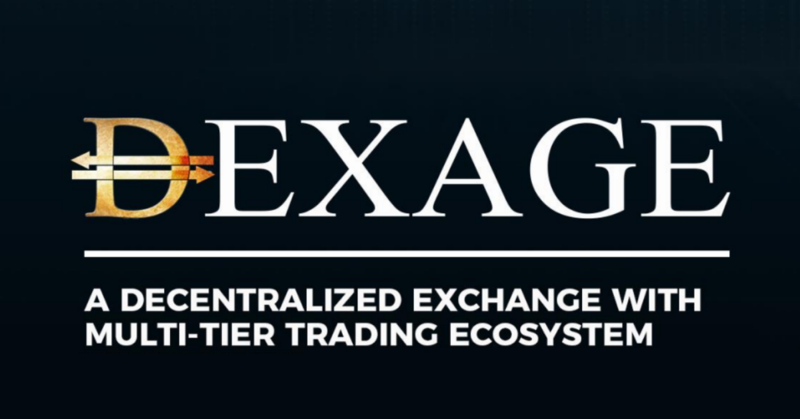 The blockchain driven decentralized exchange platform of DexAge enables its users to carry out P2p crypto to crypto exchange, P2P crypto-fiat trading and P2P lending in a robust ecosystem that is highly resistant to hacking. The crypto-trading infrastructure at DexAge is an autonomous, self-sustainable system fuelled by the social connect between the traders and investors who use our platform. The lack of a single authority who controls the whole system hands over all the power to the stakeholders of DexAge, making them the prime force influencing our growth and development. The innovative business model of DexAge will capitalise on the power of the people. The DXG platform along with the Dapp will not just allow our traders, users and investors to trade and lend crypto-assets but will enable them to communicate and share their ideas and knowledge while interacting with one another through meetups and by chats on Dapp. 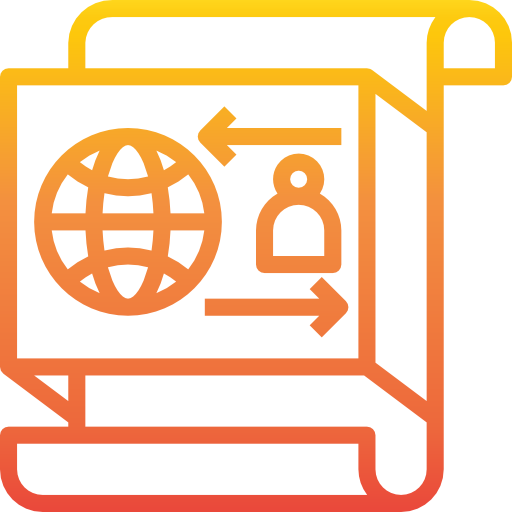 The P2P crypto transactions at the DXG platform, be it for trading or lending, would be coordinated by decentralized escrow services providing secure smart contracts. The business model of DexAge leverages the social connect of our users, traders and investors to drive greater P2P crypto-trading, P2P crypto-Lending and P2P crypto-fiat trading across a blockchain-based decentralized exchange platform. Unsold tokens on any stage will be moved to the next stage. Unsold tokens at the end of the ico will be burnt. DexAge Team with Ian Balina in Lagos, Nigeria. 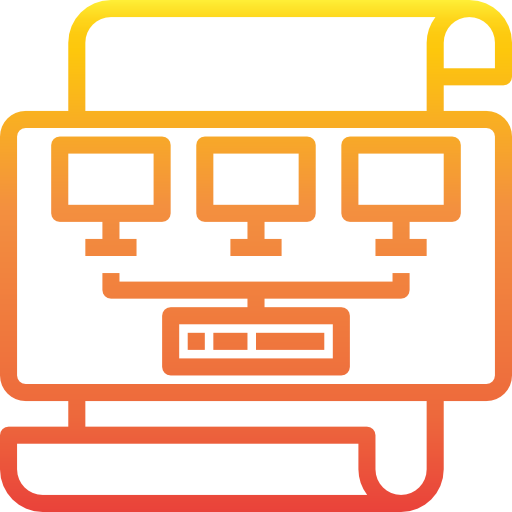 Here is our full documents that help you to understand us and what we are doing. DexAge’s aim is to enable decentralized exchange of Cryptocurrencies with P2P crypto-fiat trading and Lending Marketplace, leveraging the social connect. Awards in the form of DXG tokens will be offered to affiliates for every referral who invests or trades on our platform, driving the mutual growth of DexAge with its users. Proof of Stake(POS) is a more environmentally safe means of sustaining the emerging blockchain economy than Proof of Work(POW). Instead of expending so much electrical power as in proof of work, Dexage ecosystem will operate on a POSbased blockchain. In POS, block validators will be rewarded with transaction fees generated within the Dexage ecosystem as they validate transactions. A precursor to this shall be introduced within Dexage ecosystem, even as it runs on this present Ethereum Blockchain. For the evolution of DexAge into a Decentralized Autonomous Organization (DAO), our users will be able to vote via smart contracts. An implementation of this scheme will be demonstrated during the coin listing process which can be decided by community voting and/ or premium listing. 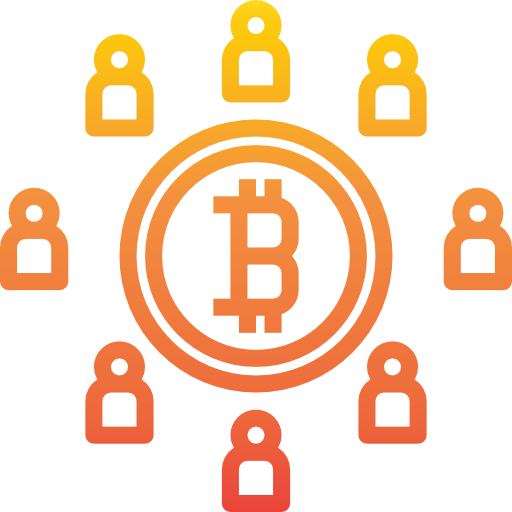 DexAge offers permissionless personal wallets which are not controlled by us as in the case of other centralized exchanges. 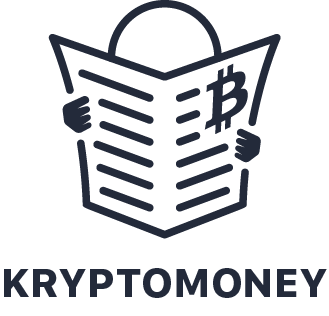 The crypto funds acquired from our agents can be sent to these wallets and exchanged for decentralized and trustless P2P trading. Through the Dapp, a single mouse click will enable our fund managers to carry out their crypto asset diversification. Our innovative DexAge algorithmic trading strategy will simplify the process of purchasing various coins while allowing the users to specify the percentage (%) of their fund they want allocated to each coin. . This is a revolutionary strategy adopted by DexAge which enables its users to send and receive the DXG tokens while chatting on our dapp. The main feature of our DexAge web/app is to enable seamless P2P crypto to crypto exchange between our buyers and sellers. 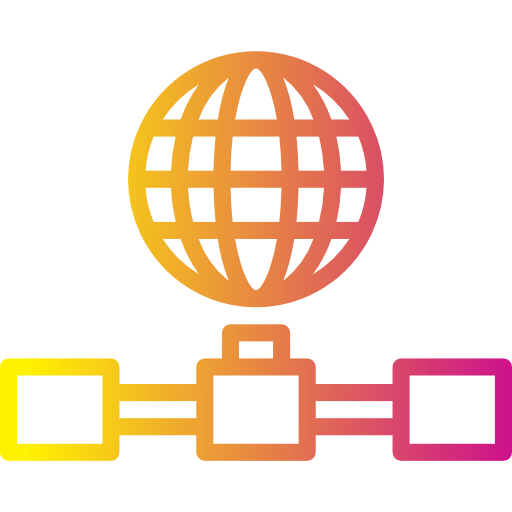 The transactions are automated via smart contracts which eliminate the need of a monopolistic authority. Due to the constant interaction on the social web and the efficiency of the DXG platform, the clients will be enabled to efficiently convert their crypto-assets into cash, and enhance the liquidity of DexAge. Find DexAge in the news. Our Team combines a passion for industry expertise with proven record in finance, development, marketing & licensing. 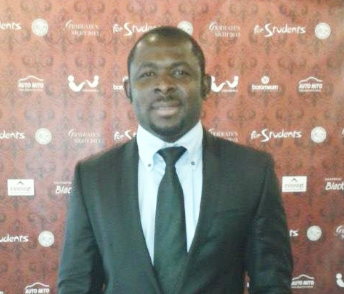 Computer Scientist and Serial Entrepreneur, CEO/Founder of Nigeria's Most prominent crypto Exchange: www.ngexchanger.com Founder and Blockchain expert at Coinnyx.com an ico listing and review website. Over 7 years experience in business networking, development and Investment. A Blockchain Analyst and Consultant, leading research and development of the DexAge Ecosystem. IT Manager with commitment to the success of the Dexage Blockchain Ecosystem. 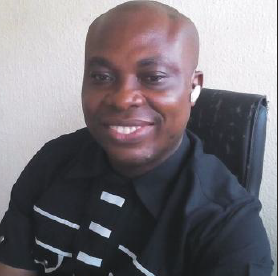 Over 10 years experience, as Lecturer in the department of Computer Science, Ken Saro-Wiwa Polytechnic. Has published articles in International Journals on Algorithmic Trading using Fuzzy Logic and Artificial Neural Network. Experienced professional with over 13years of a demonstrated history of working on in the automotive industry, Oil & gas sector and IT service management. A strong purchasing experience and skilled in Negotiation, B2B Sales, Strategic Sourcing, financial services and Project Management. A serial Entrepreneur, a block chain enthusiast and experienced crypto trader, responsible for the Business development at Dexage technology. Director/Consultant Digital Asset Trading Academy (DATA). Contemporary Financial Bounce Back Counsellor/Coach. Financial Systems Analyst, with proficiency in Investment Strategy Development, Portfolio and Risk Management. Director of Marketing with more than 10 years of experience in marketing and business development. During professional activity he has implemented dozens of projects in different areas. He helped to realize the number of startups and to breathe a new life into the existing "choking" projects. 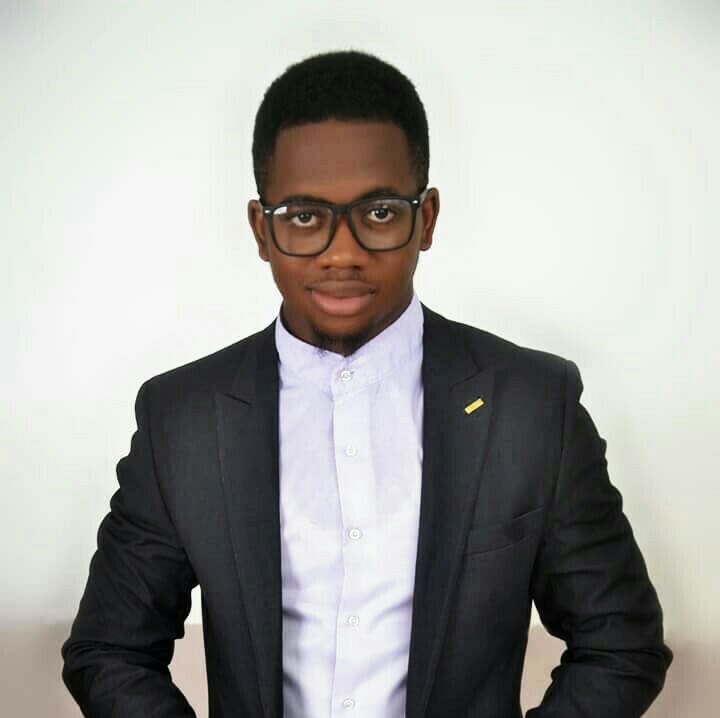 Information Technology Consultant, graduate of Electrical Engineering and Editor-in-Chief www.Nigerianbitcoincommunity.com. Industry-level experience as Operations Engineer ( Total Support Energy) for projects and facility in Nigeria. Administrative Manager and IT Officer ( Shelter Consortium Limited -SCL) developing corporate web portals for B2B communications with Nigeria Liquefied Natural Gas(NLNG). Strategic partnerships with ngexchanger, Remitano, IQOptions, Bitfi Wallet, amongst others due to success of www.nigerianbitcoincommunity.com in combating Bitcoin scams. David is a tech visionary who looks back on more than 10 years of experience in the software development industry. He not only provide commitments as a developer, but as a business stakeholder as well. As a senior level engineer, David has a proven track record of incorporating business requirements into cost-effective, secure & user-friendly solutions known for scalability and durability. He also developed NGexchanger.com, a cryptocurrency exchange platform in Nigeria. David has been part of various top-notch projects like: Designa, Uduala, Mobimatic, Marketdroplet, Shopaydia, etc. He dedicates most of his time in research and development, looking for the next big thing. Entrepreneur, Financial Intelligence Coach, Blockchain Expert, and Digital Assets Trainer. Worked on several successful projects with several awards in the digital assets segment, organizational branding and business development dynamics. He is an Experienced Consultant with a demonstrated history of working in the environmental and digital technology services industry. Skilled in Performance Improvement, Strategic Planning, Business Process Improvement, Change Management, and Business Transformation. Joseph Iyofor is a certified Internal control professional, Risk analyst, governance risk & compliance professional & the first ISO 31000 Risk management professional & trainer in Nigeria. He is an MBA alumni of the Edinburgh Business school united kingdom. A Blockchain analyst specializing in separating facts from fiction in use cases & re-imagining it`s role in our lives going forward. As a trainer,consultant and speaker he is a Resource person in several local and international conferences including training Masterclass. He is an advocate for a better managed business, through proactively harnessing risk for value creation & a competitive advantage in the marketplace. His new passion which is the Blockchain has led him to be a partner at Giz Digital asset, a consultancy firm. He is someone with Entrepreneurial skill set who is on a constant voyage, evolving various business processes to create utility in the Blockchain space. He is a Blockchain Developer and the Chief Creative Officer of Snazzee Interactive Company, a leading business conglomerate with a major presence across diverse sectors including Business Branding, Web and Application Development and Human Resource Advisory. He earned a Sun Java Certification at NIIT, actively engaged in Building an Information Risk Management Toolkit at Coursera (University of Washington) and has also earned diverse certification at HP LIFE e-learning. He is a co-founder at Hype Marketplace, and one-time Chief Developer at Genux Mobile Africa. He has a passion for helping others with their personal and business branding. His goal is to provide Disruptive Innovative Solutions, and coaching of young adults in the Blockchain space. 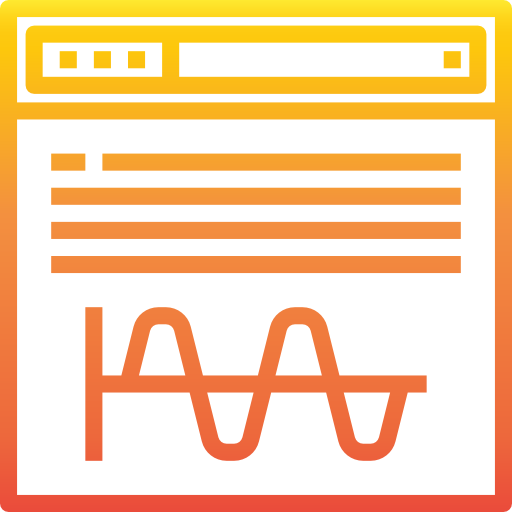 A member of International Webmaster Association. He freely contributes to several communities and offers his skills as a consultant and trainer. 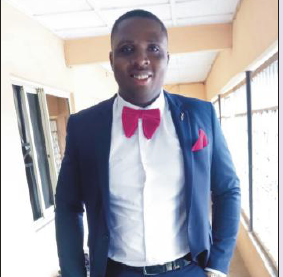 Kingsley Okes Idisi is a lawyer, Mediator and an Arbitrator. He is a Fellow of the Institute of Chartered Mediators and Conciliators, Nigeria, member of the Chartered Institute of Arbitrators, Nigeria and member of the Association of Professional Negotiators and Mediators, Nigeria. Kingsley Okes Idisi is the Principal Partner of MAVS Chambers, a firm of Legal Practitioners based in Warri, Nigeria. He is also the Executive Director, Green-Ad Alternative Dispute Resolution Consult Ltd/Gte, operators of Green-Ad ADR Center, Effurun, Delta State and an appointed External Neutral (Mediator) to the Delta State Multi-Door Court House. He is experience in commercial disputes of all sorts. Digital marketing veteran with more than 20 years of experience in online marketing, Editor-in-Chief/Publisher of thecurrencyanalytics.com and financialreport24.com. Provides creative out-of-the-box marketing strategies for companies, enabling high online ranking and brand visibility. Graduate of the prestigious ECOLE SUPÉRIEUR D`INFORMATIQUE ET DE GESTION (ESIG), PARIS, with BTS in Computing. Have served as the Chief Marketing Officer and CEO of several FX brands including Stock.com (renamed to trade.com), and GKFX. 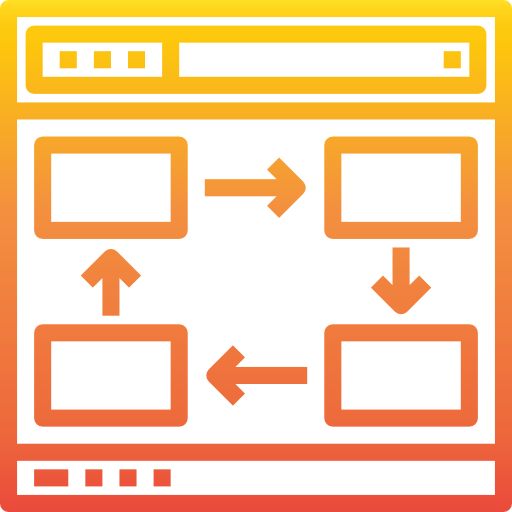 Experienced Digital Marketer and Online Reputation Manager at Websetters, one of India’s leading online reputation company and web Development Company. A prolific content developer, with Over 7+ years Experience in online marketing services, including Search Engine Optimization(SEO), Search Engine Marketing (SEM), Social Media Community Building, Blogging, Site Ranking Analysis, just to mention a few. A world-class leadership expert, representing top brands like Nokia, Motorola, IBM Labs, amongst others; with over 16+ years of rich industrial experience in Security, Blockchain and Cloud Computing. A Computer Scientist(M.Sc) with patent on Encryption Deployment Discovery in an Enterprise at US Patents and Trademark Office(USPTO). An experienced Linux System, and Application Programmer; with skills covering network security, product development, architectural design, solution frameworks and Blockchain. He is currently working as a Technical Blockchain Adviser to successful international startups, including DexAge. Mauro Andriotto is a professor of Corporate Finance and Enterprise Risk Management at SDA Bocconi, University of Pisa and University of Genève – UBIS. He is an independent expert at the European Commission for Horizon 2020 (80 bn funds) where he approves public grants up to €2,5 mln for innovative and disruptive European projects. He is also the quantitative leader at EY for the South Europe area. He is the founder of Andriotto Financial Services a financial boutique located in Switzerland specialized in fundraising strategies and the founder and managing partner of ICO Advisors. He sits in different Advisory Boards around the world. Has Worked with over 75 ICO`s, and holds the position of Marketing Advisor in several of these projects. An inspired visionary blockchain entrepreneur with vast experience founding and developing innovative blockchain projects and automating and scaling up digital marketing processes. Below we’ve provided a bit of frequently asked questions about DexAge. If you have any other questions, please get in touch using the contact form below. DexAge is the No.1, User-Centric Decentralized Exchange with P2P Escrow Trading and P2P lending Marketplace. 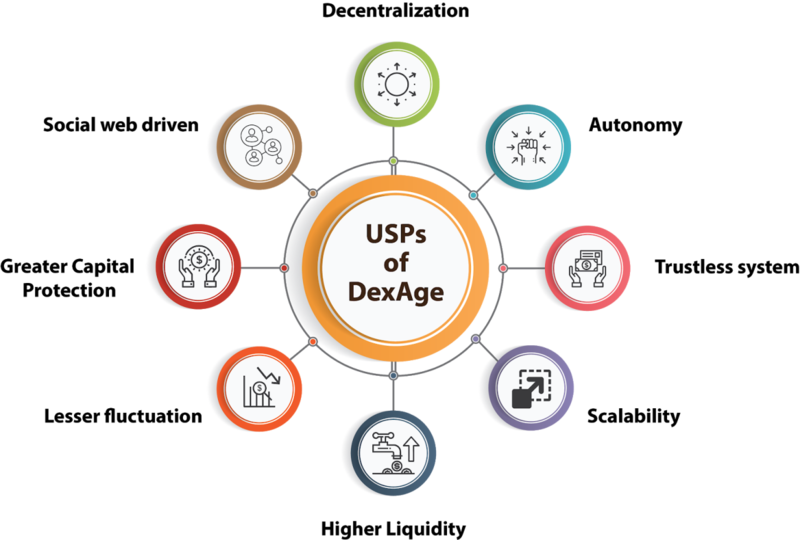 What is so Special about DexAge? DexAge is a decentralized exchange. This means users have full control of their funds. DexAge provides liquidity through P2PLoans & crypto-fiat trading market place. 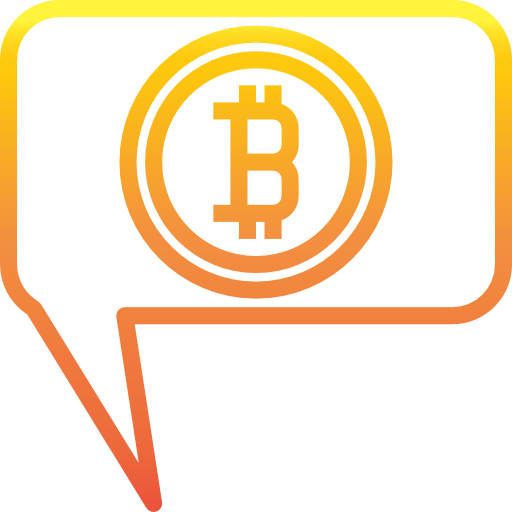 DexAge Social Connect will enable users to share mutual interest, trade ideas, meet up and seamlessly send fund to one another via the chat app. DexAge shares profit generated with its stake holders (users who stake their DXG token on the platform) and through the referral program. Do you have a 24/7 Support? Yes, you can contact us for support 24/7 via email, Telegram channel and Facebook. Does DexAge have a Token? Yes, Dexage has a utility token DXG. This token will be useful (exchange fees, staking, etc) within the ecosystem making price volatility minimal. Yes, the airdrop will start two weeks before the token sales (Oct 10 - NOV 30). 250,000,000 DXG tokens will be given away in this period. How do I take part in the airdrop? Participation in the airdrop simply means, Signing up on DexAge official website, following DexAge on Twitter, Facebook and joining our Telegram group. Click on the Airdrop button on the home page, to get started. A Token sale is a process in which a new cryptocurrency project sells part of its cryptocurrency tokens to early adopters and enthusiasts in exchange for money. That may be fiat money (real centralized currency, like $ or €) or other cryptocurrencies. The Token sale provides a way for cryptocurrency project creators to raise money for their operations. Most token sales raise money in Bitcoin or other cryptocurrencies. What is the Soft cap/Hard cap? Do I get a Free DXG if I refer a friend? Yes. You get rewarded with 50 DXG tokens for each person you refer to participate in the airdrop. And 5% worth of tokens bought by the person you referred during pre-sale and crowdsale. Are there Bounty Campaigns, and how do I participate? Write and publish your articles, info-graphics, artworks or videos about DexAge on blogs or social media. Or organize meetups, seminars, workshops on DexAge (this will attract additional DXG tokens). Video documentary to be submitted as proof. Or do a Self-Broadcast Video using Facebook or Youtube. The DexAge social media editorial team will review your work, and if we chose your post, Your Bounty account will be credited immediately with 30,000 DXG at www.dexage.io . When can I withdraw airdropped tokens? The DXG tokens will automatically be sent to your ethereum wallet address by March 2019, after crowdsale has ended. Why is my airdrop tokens and referral tokens pending? Airdrop database is collected every 24hrs, after 24hrs your airdropped tokens will be completed. It is past 24hrs and It is still pending, why? That is because you have not completed the airdrop tasks, and your referral bonus is pending because the person you referred has not completed his or her task. Since March is far, can I leave your social channels and then come back March 2019? Will the DXG token increase in value? 20% of the profit generated from the DexAge trading platform every quarter will be used to buy back and burn DXG tokens, reducing its circulating supply by 50%. This process will decrease the supply thereby leading to scarcity and increase in value. The utility of DXG tokens within the ecosystem and its listing on external exchanges will increase its relevance. Can I earn by Staking the DXG token? 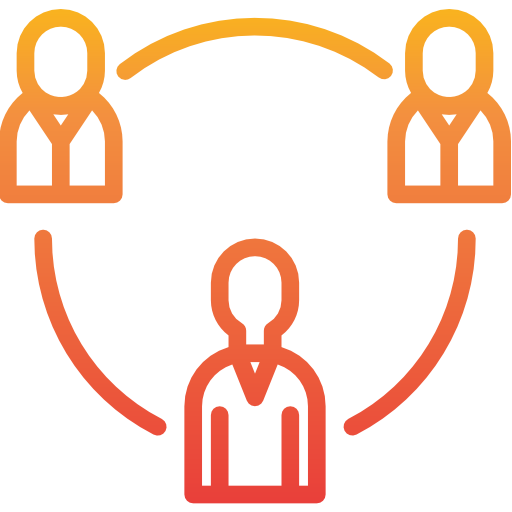 Yes, 30% of the total profit accrued is shared amongst all stakeholders.The percentage of this profit received by each stakeholder will be in proportion to the DXG token held with respect to the total number staked. How do I stake my DXG token? Pre-sale starts on NOV 30th, 2018 and lasts till DEC 31st, 2018. The Crowdsale or Token sale starts on Jan 1st, 2019 and lasts till February 28th, 2019 or until the hard cap is reached. DXG token basic price is $0.01/DXG. However, there will be some discount depending on the stage of the sale and the amount of token already purchased. The Pre-sale starts at 40% discount. Currencies accepted: ETH, LTC and BTC. What is the total Supply of the DXG token? The total supply will be 5,000,000,000 tokens. What will happen to the unsold token? Unsold tokens will be burnt after the sales ends. Where and when will I receive My crowdsale DXG token? DXG tokens will be released to your ERC20 wallet 2 weeks after the crowdsale. Instructions for filling the DXG token sales form and payment procedures will be made available, immediately after the Airdrop. How can I buy DXG token? The DexAge ICO Smart contract address will be published here, at the end of the airdrop. Can I buy token without an Ethereum wallet address? No. DXG is an ERC20 token and requires an Ethereum/ERC20 compatible wallet. How do I store my DexAge token? After the purchase, your DexAge tokens can be stored in your ERC20 compatible wallet. Purchased Tokens - 55% of all tokens (2,750,000,000). The funds raised with Purchased Tokens will be used as follows: Platform development, Marketing, Branding and Education and contingency plan. Team Tokens - 15% of all tokens (750,000,000) will be allocated to the members of DexAge core team. 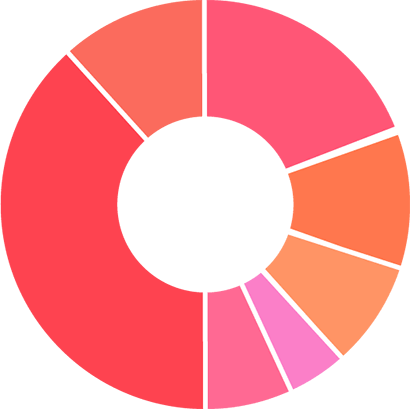 Core investors and early contributors - 5% of all tokens (250,000,000) will be allocated to the core investors and early contributors. Airdrop and Bounty program - 10% of all tokens (500,000,000) will be allocated for the Airdrop and bounty program. Reserved Token – 15% (750,000,000) of the tokens will be reserved for future company needs. 20 Mbonu street, Dline, Port Harcourt, Rivers State, Nigeria.